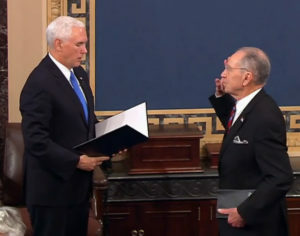 Vice President Mike Pence swears in Senator Grassley. 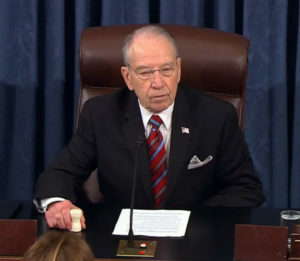 Iowa Senator Chuck Grassley is now third in the line to the presidency. Vice President Mike Pence swore Grassley in as Senate President Pro Tempore today. Since 1890, the president pro tempore of the senate has traditionally been the senator with the longest continuous tenure from the party that’s in the majority. And Grassley has been in the U.S. Senate longer than any other Republican currently serving. “I look forward to serving Iowa and the nation as president pro tempore during the 116th congress,” Grassley said in a video statement. 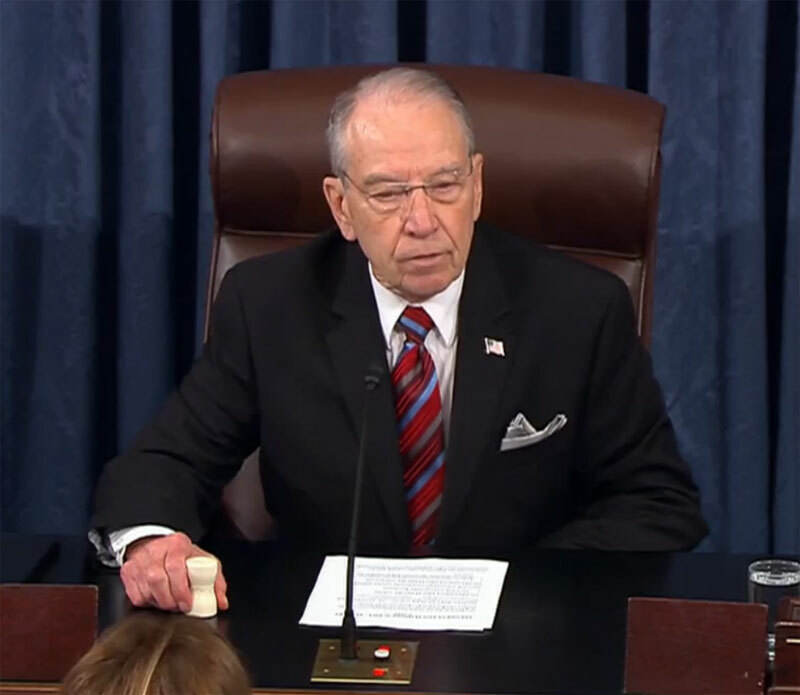 Grassley takes position as Senate President Pro Tempore. and his predecessors have also been the presiding officers in the U.S. Senate and given authority to cast tie-breaking votes. For the past 60 years, the president pro tempore of the senate has been third in line to the president, behind the vice president and the speaker of the U.S. House.